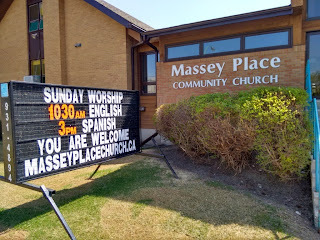 Massey Place Community Church: June 28th. Last Sunday of June 2015! Find out about the Park! Baptisms and an afternoon of fun! Everyone is invited from both our English and Spanish services. Following the short service, we will have lunch together and then the afternoon is free for swimming, games, etc. Please bring your own lawn chairs, meat to cook, salads or snacks to share and other activities you may wish to bring for the remainder of the day. Carpool at the church at 10:00 am if you can share your ride out to the Park! There will be a $7 vehicle entry fee to get into the park. You may choose to park outside of the entrance and carpool in with someone else to save costs. 11:00 am Service rather than the Park! Call ahead if you are unsure!